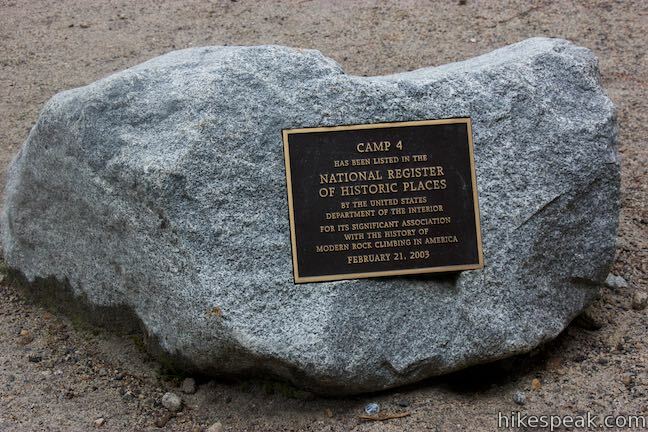 Camp 4 is a historic campground in Yosemite National Park – and that’s not even hyperbole; the campground is listed with the National Register of Historic Places “for its significant association with the history of modern rock climbing in America.” Reservations are needed at the other campgrounds in Yosemite Valley, but Camp 4 is the exception, with 35 shared first-come first serve walk-in tent campsites. 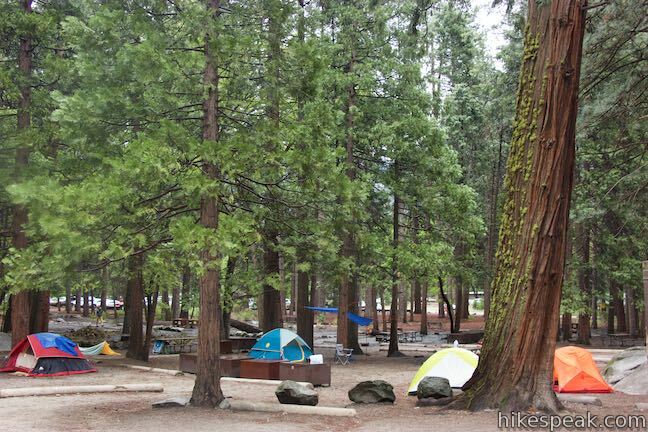 Camp 4 is a popular year-round campground in the heart of Yosemite Valley. 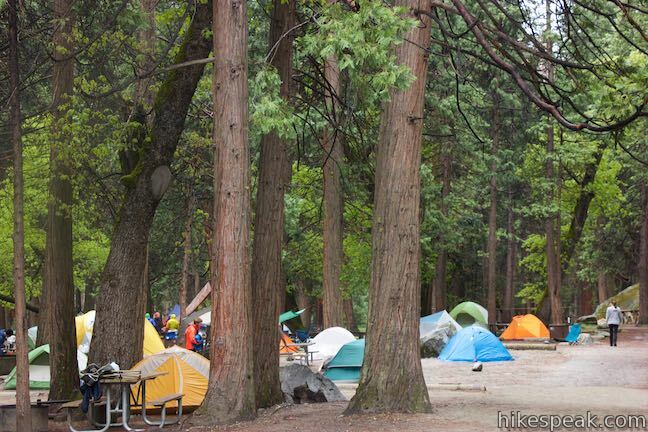 During the spring, summer, and fall, expect Camp 4 to be completely full just about every night. 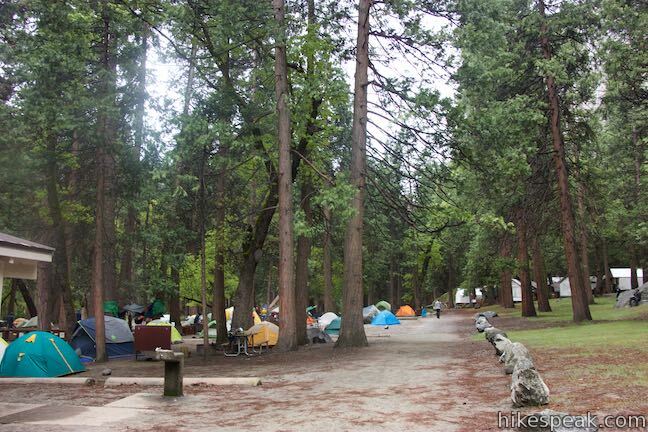 Prospective campers line up early in the morning for chances at campsites. 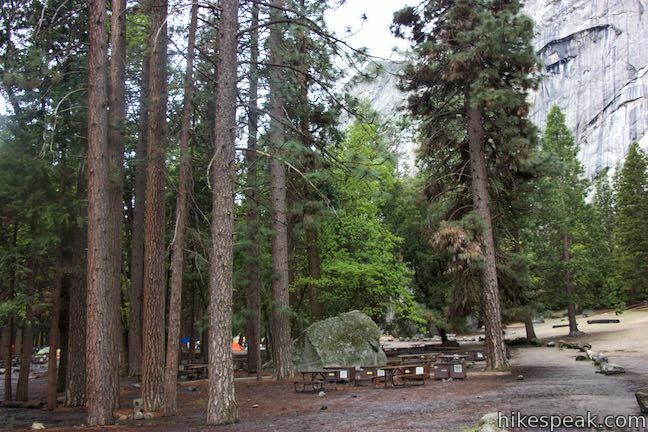 If you want a campsite at Camp 4, show up at dawn and get in the queue at the kiosk outside the campground. 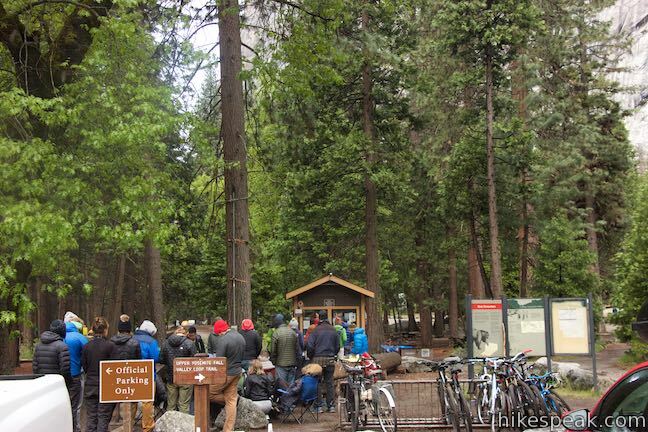 A ranger opens the campground kiosk at 8:30 in the morning, but the line forms before that. For available sites, the rate is $6 per person per night (as of 2018). Since space at Camp 4 Campground is filled on a per-person basis, everyone in your group must be standing in line to register to camp. 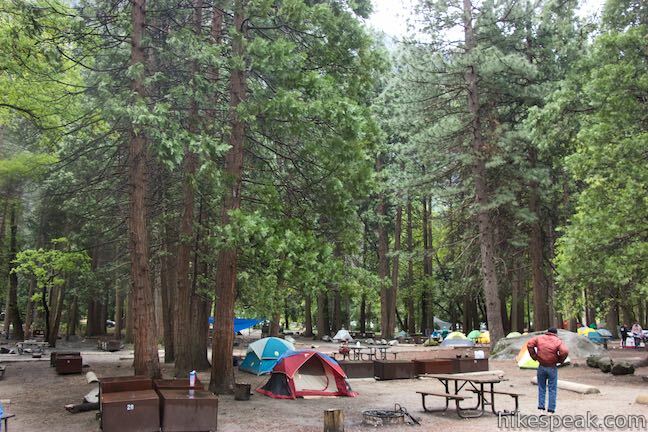 Each campsite can be assigned to six people. Groups can be split or combined in order to fill each site. Because campsites are shared to host as many campers as possible, Camp 4 offers a communal hostel-like camping experience. 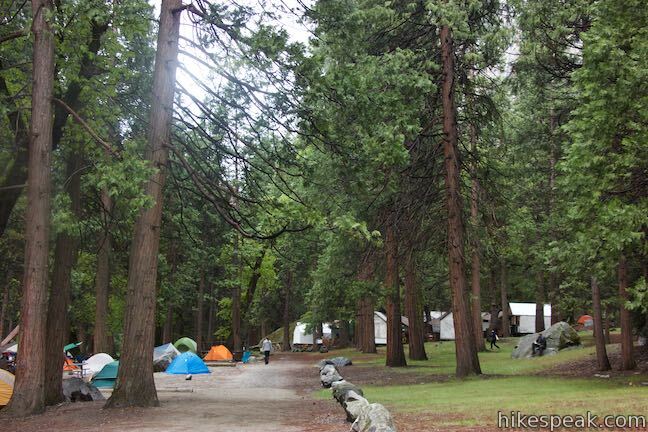 During winter months, the demand for Camp 4 subsides and prospective campers may self-register for campsites. The 35 walk-in sites are for tents only and up to 6 people. Sleeping in vehicles in the campground parking lot is prohibited. Campers receive permits to use the campground parking lot during the busy season from spring through fall. Campground amenities include picnic tables, fire pits (no grills), food storage lockers (bear boxes), bathrooms with electricity and flush toilets, and drinking water spigots. Wood fires are allowed in the fire pits. Campfires are restricted to the hours between 5 p.m. and 10 p.m. from May to September in order to limit smoke in Yosemite Valley. 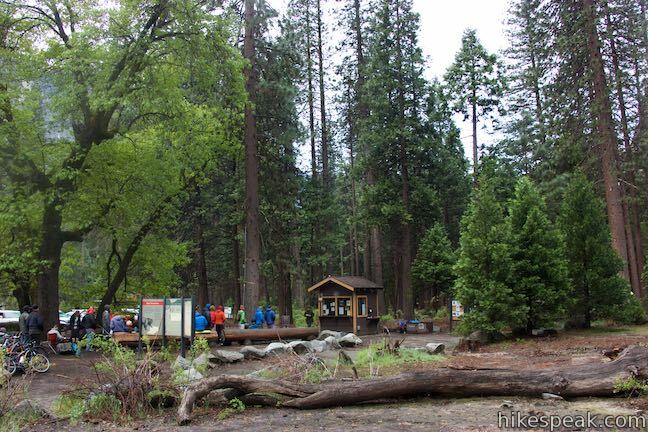 The Yosemite Valley Shuttle stops just outside the campground, making it easy to get to restaurant, shops, and other parts of Yosemite Valley. 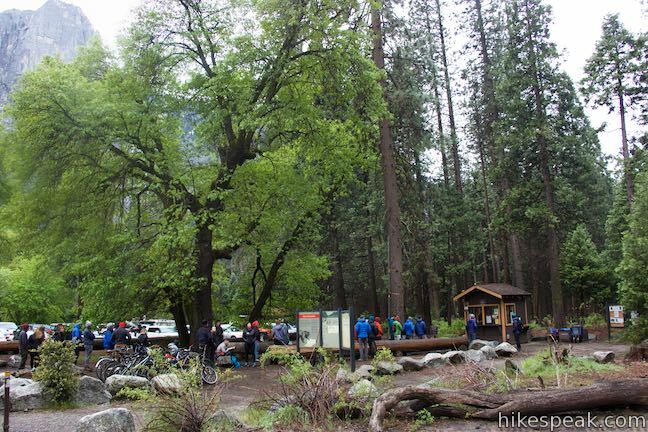 Bikes are a great way to get around Yosemite Valley and Camp 4 has ample bike racks for visitors. 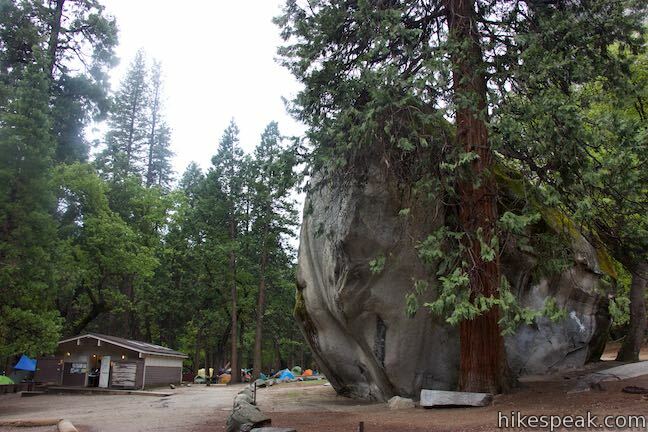 Much of the history of modern climbing passed through Camp 4 (formerly known as Sunnyside Campground). 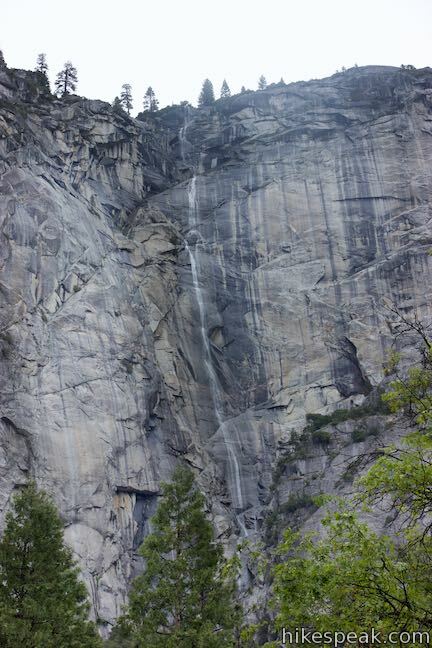 In addition to nearby climbing routes, Yosemite Falls Trail begins beside the campground and Lower Yosemite Fall Trail is a short walk away. 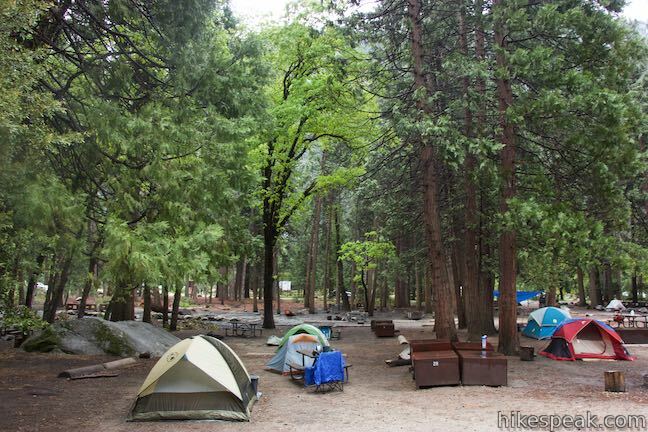 To spend more nights in this beautiful valley, check out these other campgrounds in Yosemite National Park or consider the lodging at Housekeeping Camp. This epic 16-mile hike climbs 4,800 feet and is one of Yosemite’s most popular and most challenging trails.